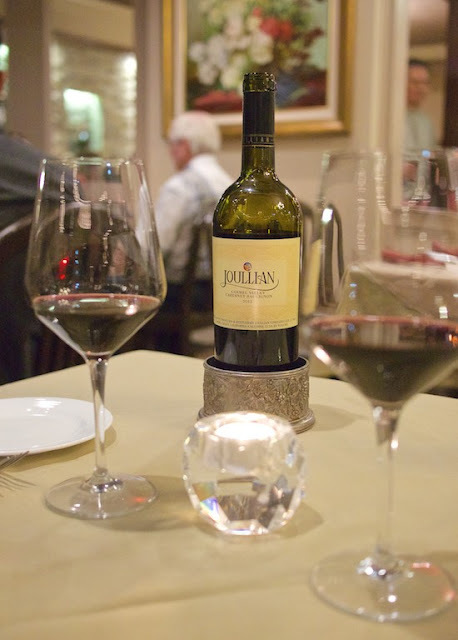 A variety of dining options await you in the quaint town of Carmel-by-the-Sea; but when it comes to a fine dining experience you won't forget there is one local establishment that stands out above the rest. 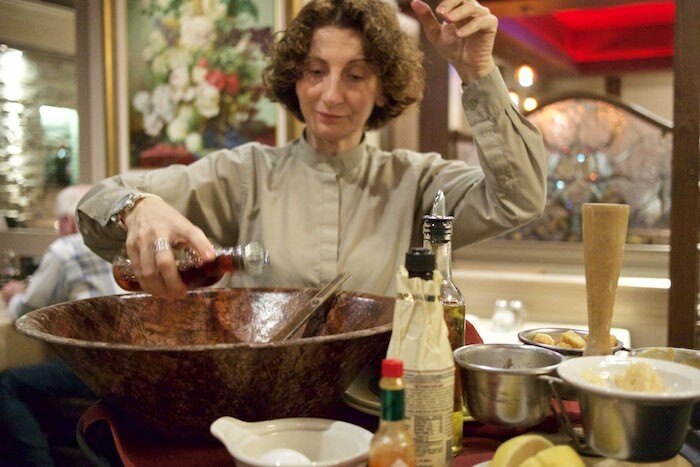 Anton & Michel has been offering customers mouthwatering steaks, sustainable seafood and a large selection of Monterey County wines for over 35 years. 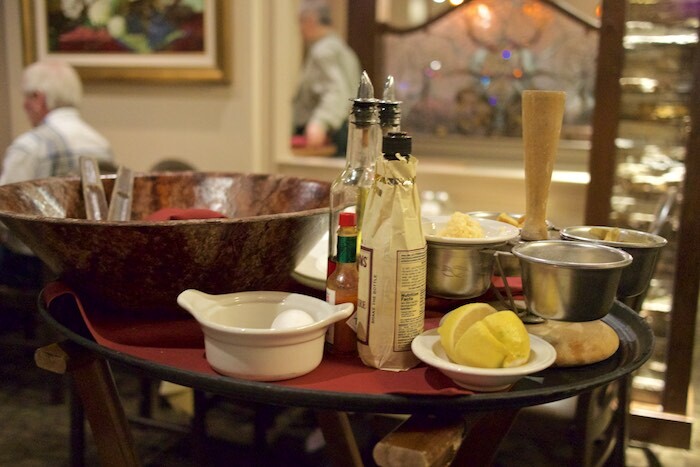 Sophisticated diners will appreciate the attention given to detail and polished service mixed with old school charm. Classic dishes prepared table-side transport you to another time while the modern decor and design makes it a one of a kind experience. Owner, Tony Salameh, was trained in European-style hospitality at the prestigious Hotel School of Lausanne in Switzerland. He was inducted into the restaurateur Hall of Fame (Monterey County chapter of the California Restaurant Association) in 2002 and has earned a “stellar reputation” with the success of Anton & Michel for over 30 years. I was invited to dine at Anton & Michel on a recent visit to Carmel and must say it was a delicious experience from start to finish. We were greeted at the door, by Salameh himself, and escorted to a quiet table which overlooked the outdoor patio and fountain. We chatted over wine about the history of the restaurant and the renovations that were recently done. Salameh explained how they expanded the bar area and created a menu that is more approachable to a younger crowd. 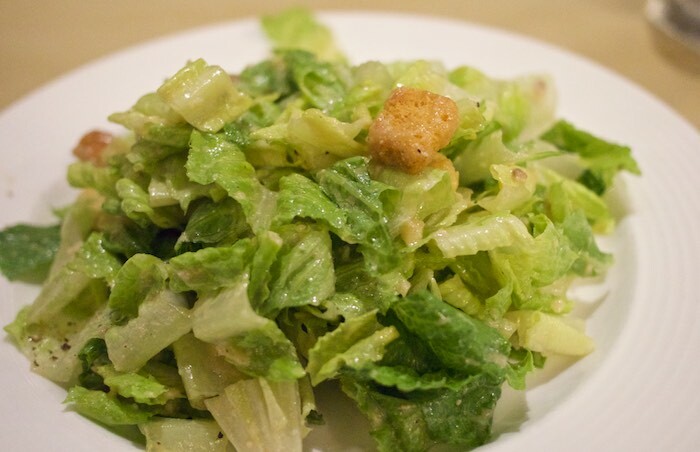 We started our dinner with the classic table-side presentation of Caesar salad; a rare experience these days. Our server, Carmella, used fresh ingredients like Parmiagano Cheese, garlic, raw egg, olive oil and anchovy to create a creamy and delicious dressing which hearken back to glamorous days of old. It was fun to watch this process and even more enjoyable to eat the finished product. 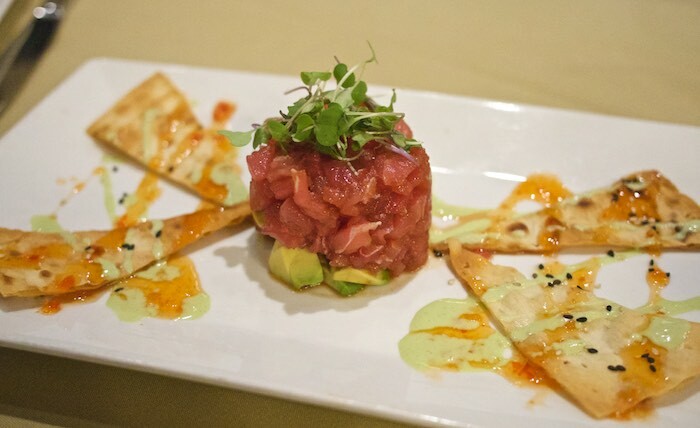 It's hard to beat a classic Caesar salad but the Hawaiian Tuna Tartar came close. Tuna and avocado with a creamy wasabi sauce, sesame crackers and a hint of soy dressing was the perfect combination of freshness and spice. 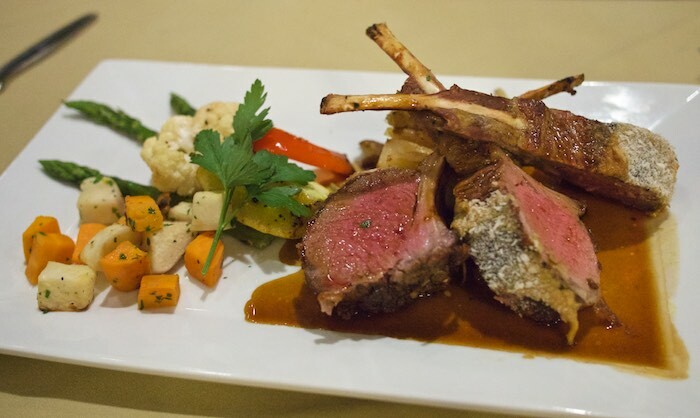 I'm a huge fan of lamb and the rack of lamb with citrus port sauce did not disappoint. The lamb was succulent and tender and the sauce provided a nice flavor combination. The Guinness-Hoisin Braised Kobe Beef Short Ribs were also delicious. Slow-cooked in stout, the ribs had a bittersweet flavor to them which paired well with the tobacco onions, and garlic basil pappardelle. Another tribute to days gone by was the cherries jubilee. 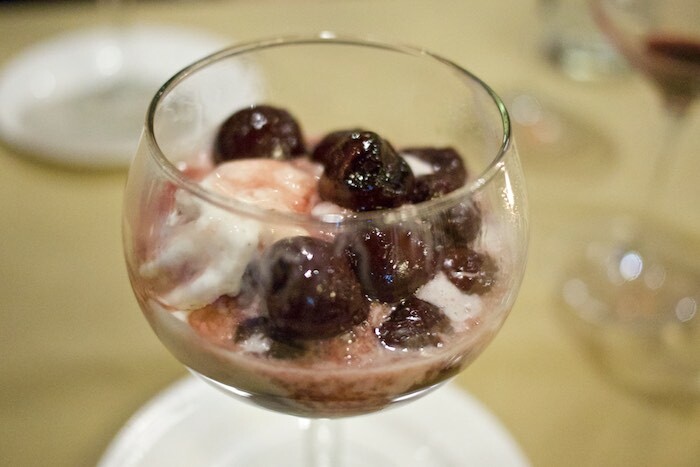 Cherries are mixed with a liquer, flambed table-side, and served over vanilla ice cream. A treat to watch and enjoy! The meal was excellent, the service above par and the atmosphere upscale and cozy. Anton & Michel is a restaurant that I could easily see myself returning to again and again. This experience was provided complimentary. However, all opinions and comments are my own. What a great dining experience. 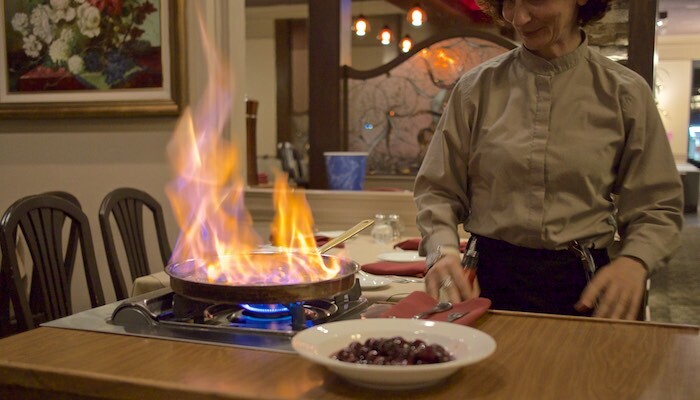 The cherry flambe looks awesome. Oh look at that great lamb! And the cherries to finish - sounds SO good! How fun! I love when I find a restaurant with table-side service. 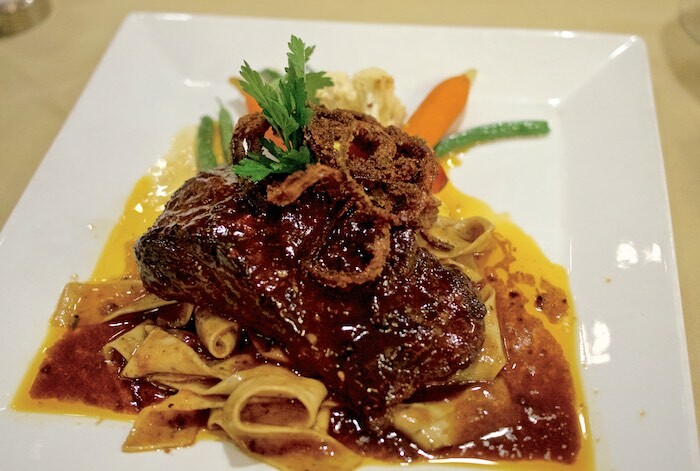 This looks like a lovely dining experience...those short ribs are totally calling my name! Looks amazing. I haven't had cherries jubilee in I can't remember how long! What a special invitation that was!! I am seriously drooling! Looks like a fun experience in such a beautiful little town. The cherry dessert looks super yummy too. Oh my word! Everything looks so delicious. It's been a long time since I dined in a restaurant where anything was presented table-side. That is an amenity that I truly miss in present day dining. Such a special experience! This place looks so old-school. I love it! I've never been to a restaurant where they cook table-side. I really need to up my game. This all looks so delicious and entertaining! What a fun night out and that tuna looks great! Love it! Everything looks scrumptious! I have always wanted to go to visit a wine country... that lamb looks outrageous, had my mouth salivating! What an amazing dining experience! That short rib looks ahhhhhmazing! What a delicious experience. I love Carmel by the Sea. It's been eons since I was there last, I might need to fix that.